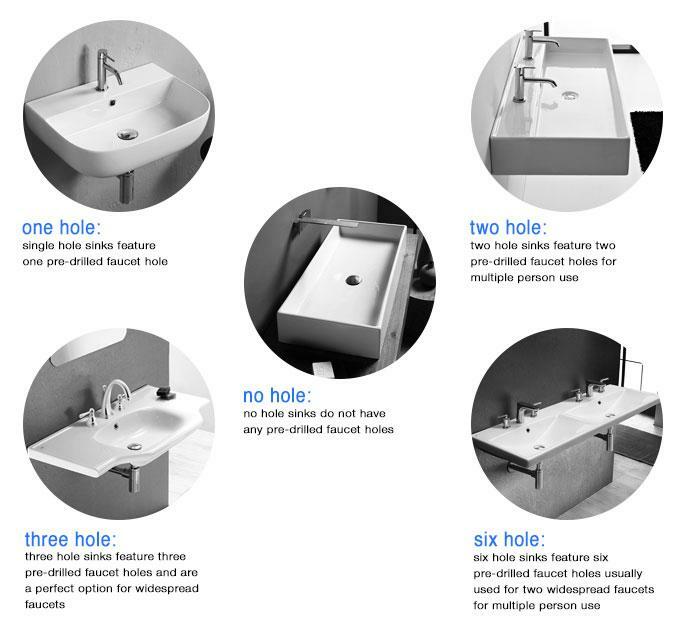 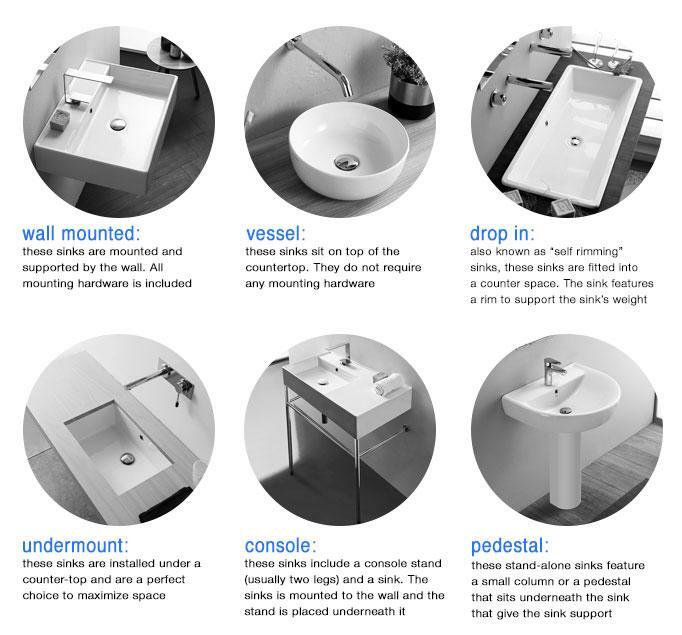 Shop our selection of floating bathroom sinks and get FREE shipping on all orders over $99! 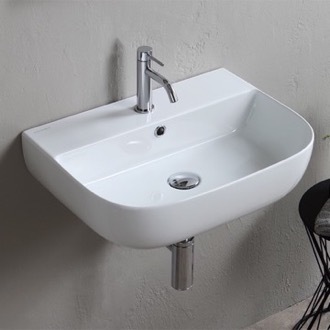 Specs: Length: 23.62" Width: 17.72" Height: 5.12"
Specs: Length: 39.3" Width: 18.1" Height: 5.7"
Specs: Length: 31.89" Width: 17.32" Height: 5.51"
Specs: Length: 40" Width: 18.2" Height: 5.1"
Specs: Length: 31.5" Width: 18.1" Height: 5.7"
Specs: Length: 47.24" Width: 17.72" Height: 6.5"
Specs: Length: 30" Width: 18.9" Height: 5.1"
Specs: Length: 25.3" Width: 18.5" Height: 3.1"
Specs: Length: 47.2" Width: 18.1" Height: 5.7"
Specs: Length: 23.6" Width: 17.7" Height: 6.9"
Specs: Length: 55.71" Width: 17.91" Height: 5.51"
Specs: Length: 37.4" Width: 16.5" Height: 5.5"
Specs: Length: 31.5" Width: 17.72" Height: 5.12"
Specs: Length: 40" Width: 18.2" Height: 5.6"
Specs: Length: 23.62" Width: 17.72" Height: 6.89"
Specs: Length: 23.62" Width: 13.78" Height: 6.3"
Specs: Length: 19.7" Width: 17.7" Height: 5.9"
Specs: Length: 31.9" Width: 17.4" Height: 5.6"
Specs: Length: 27.56" Width: 21.26" Height: 6.5"
Specs: Length: 25.6" Width: 18.8" Height: 6.5"
Specs: Length: 48" Width: 18.5" Height: 6.5"
Specs: Length: 23.6" Width: 15.7" Height: 6.5"
Specs: Length: 39.37" Width: 17.72" Height: 6.69"
Specs: Length: 39.37" Width: 17.72" Height: 5.51"
Specs: Length: 23.62" Width: 17.72" Height: 6.5"
Specs: Length: 21.7" Width: 16.6" Height: 5.6"
Specs: Length: 19.7" Width: 9.8" Height: 4.5"
Specs: Length: 35.43" Width: 21.26" Height: 6.5"
Specs: Length: 36.2" Width: 18.5" Height: 5.9"
Specs: Length: 41.34" Width: 21.26" Height: 6.5"
Specs: Length: 23.6" Width: 17.3" Height: 5.5"
Specs: Length: 32.48" Width: 18.5" Height: 4.92"
Specs: Length: 39.37" Width: 17.72" Height: 5.9"
Specs: Length: 20" Width: 20" Height: 6.7"
Specs: Length: 36.2" Width: 18.5" Height: 7.1"
Specs: Length: 29.6" Width: 16.6" Height: 5.6"
If you're looking for a clean, minimalist look, a floating bathroom sink makes a strong visual impact. 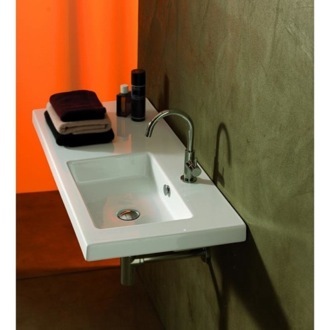 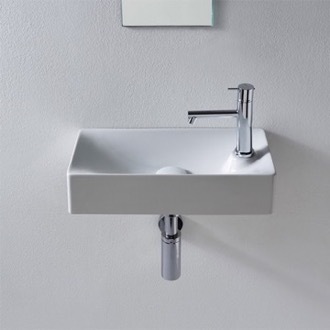 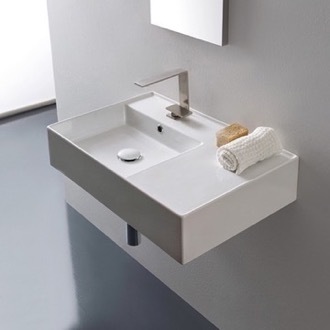 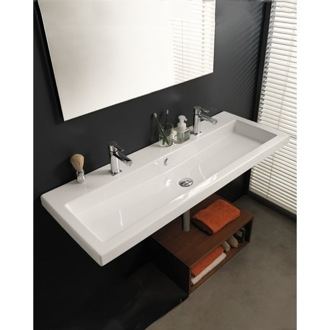 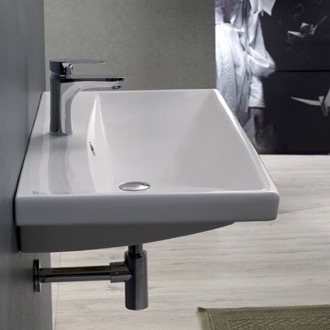 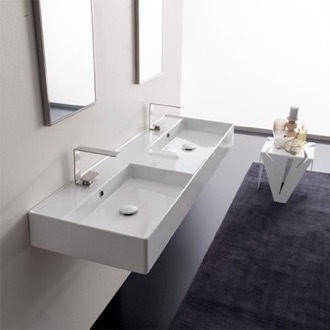 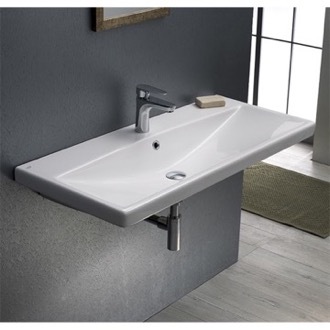 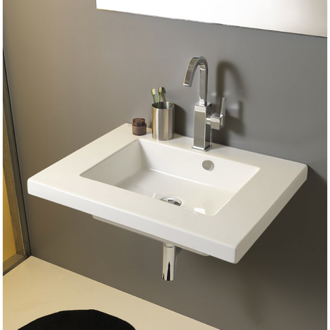 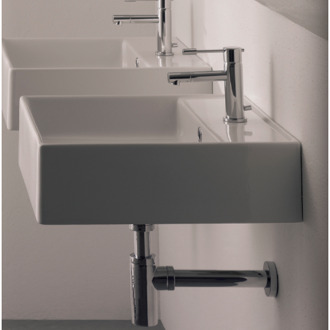 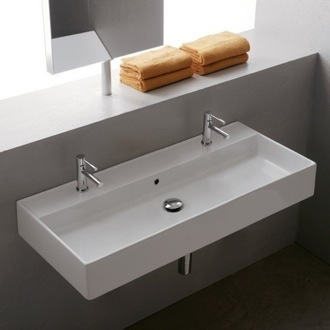 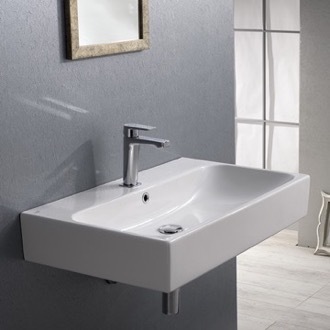 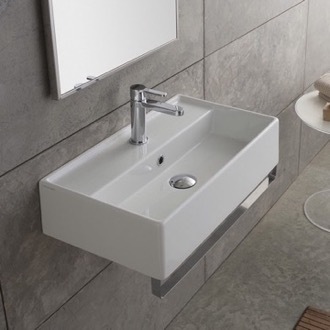 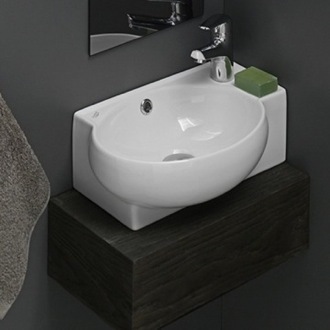 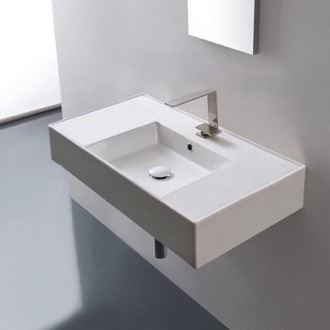 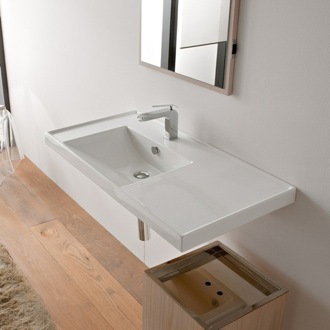 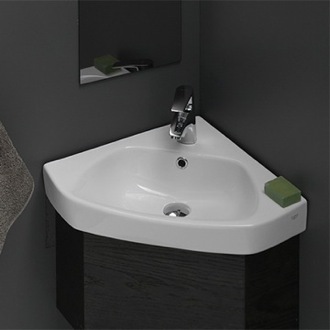 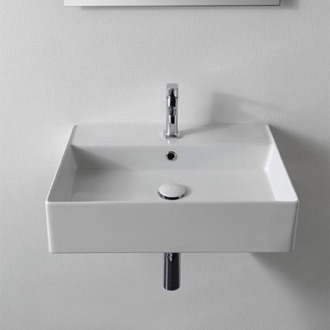 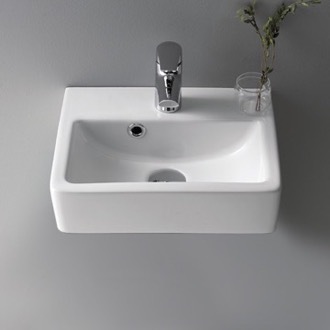 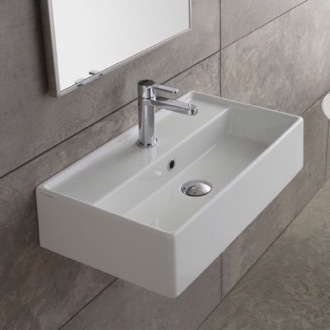 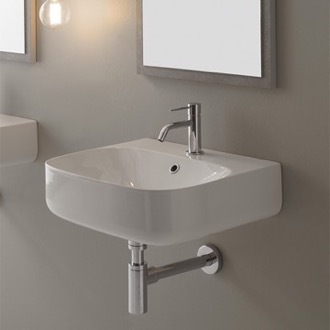 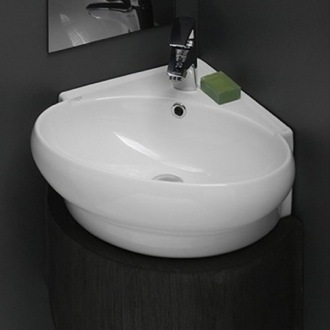 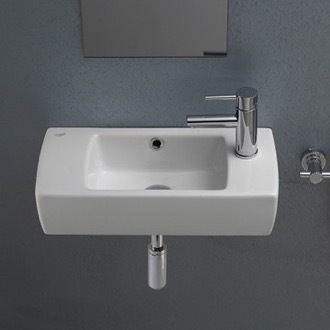 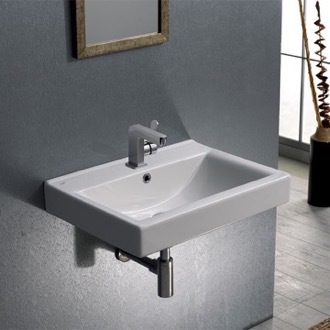 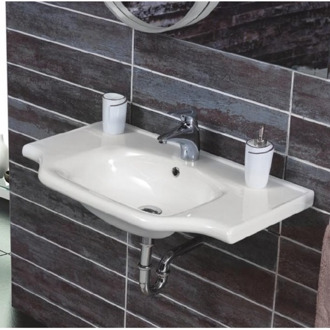 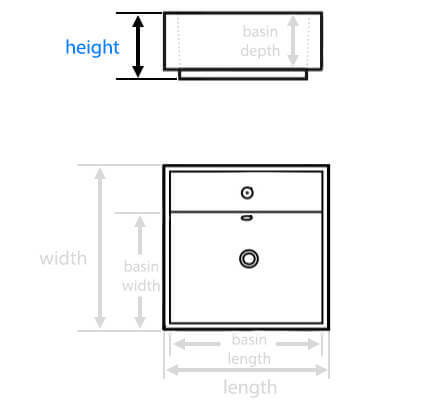 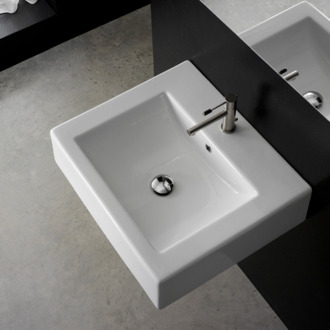 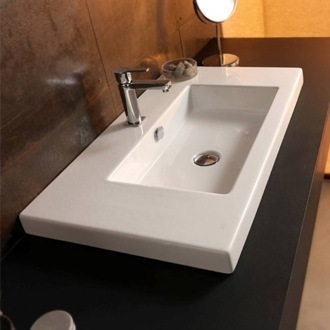 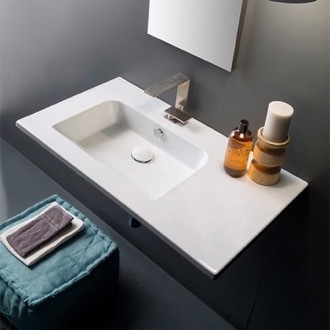 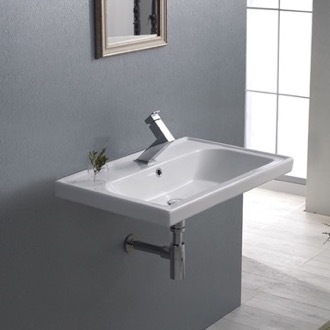 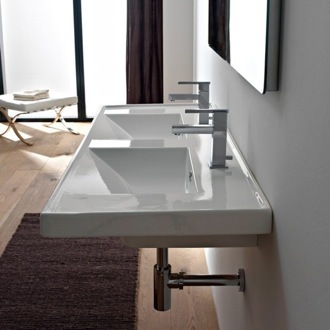 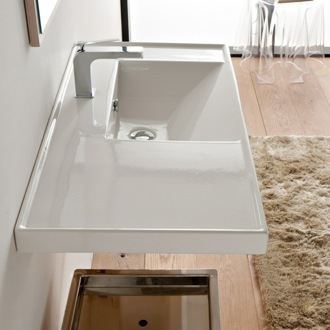 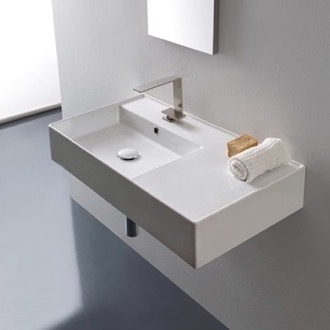 Also known as wall-mounted sinks, these elegant fixtures are ideal when you want to avoid the bulk a vanity can add. 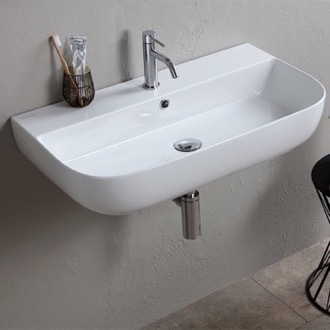 Some floating sinks actually have built-in towel racks or large rims for built-in storage, further streamlining your bathroom fixtures. 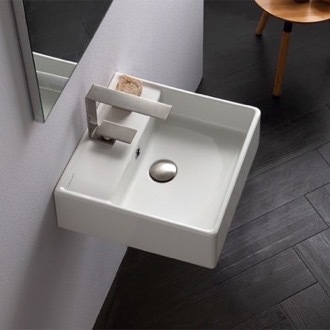 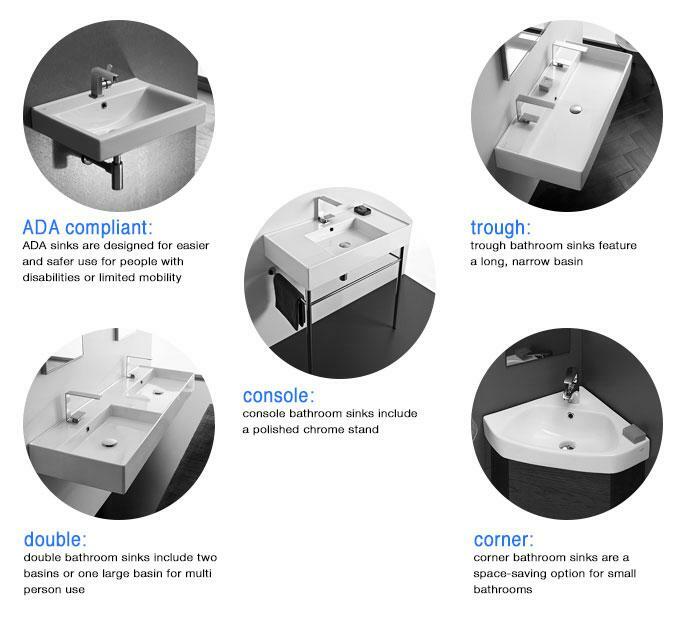 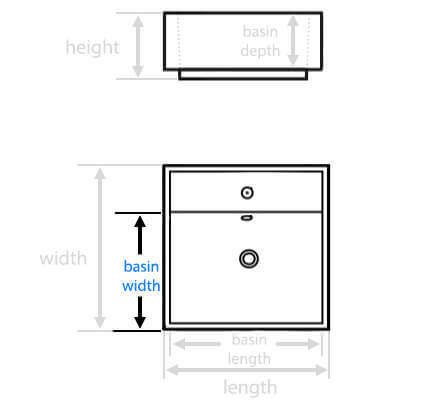 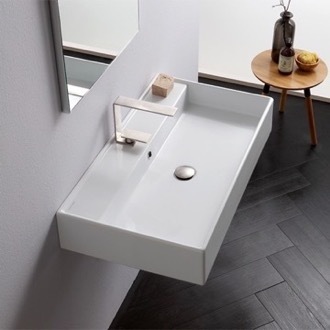 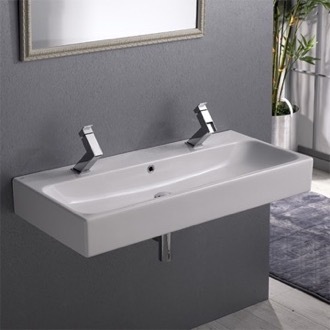 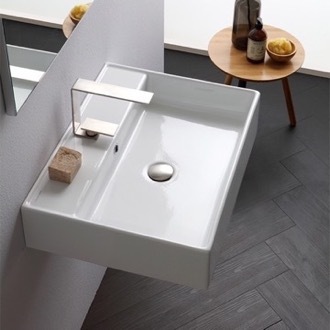 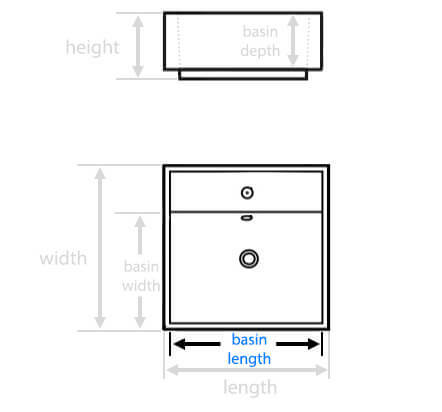 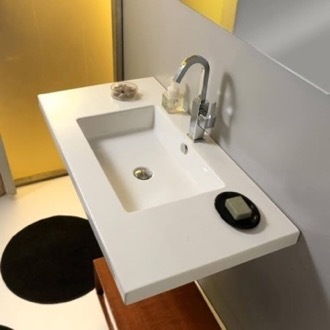 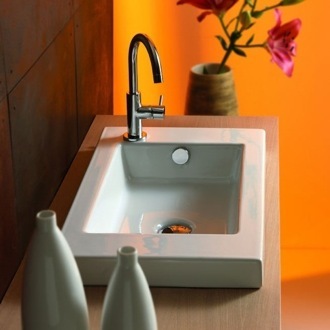 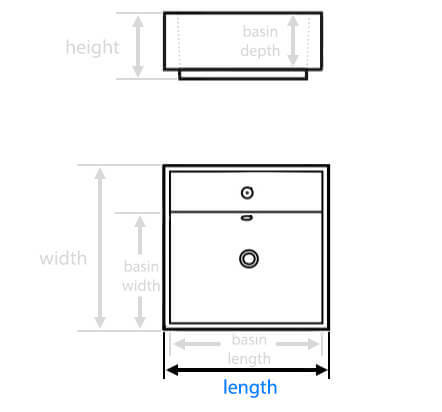 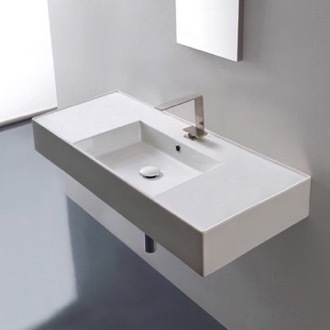 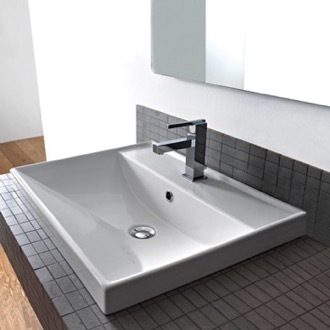 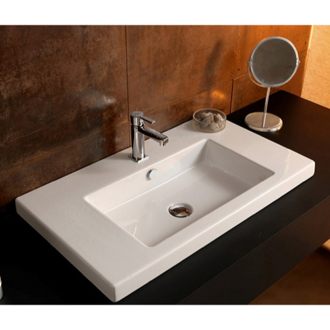 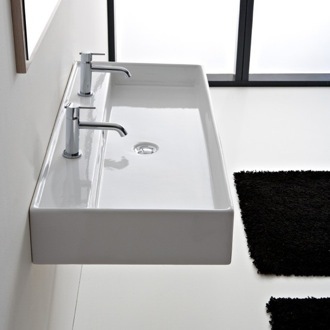 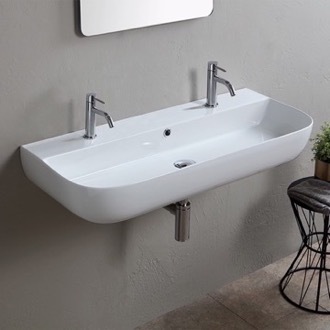 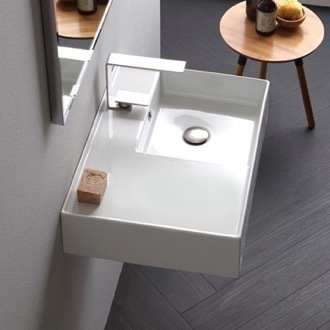 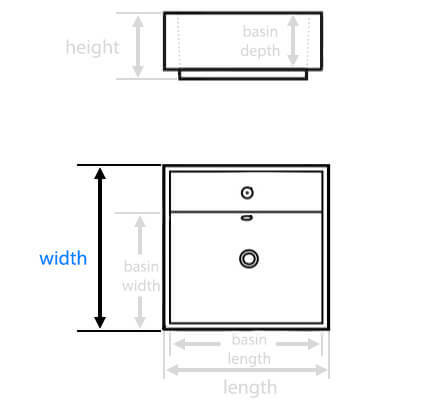 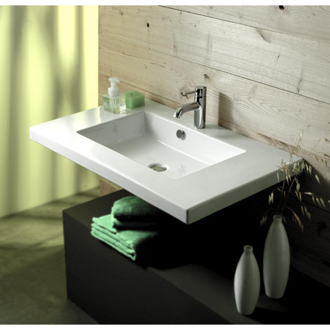 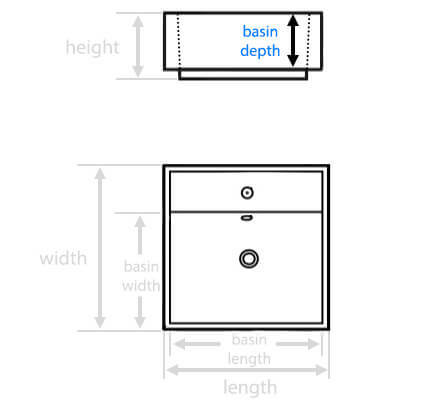 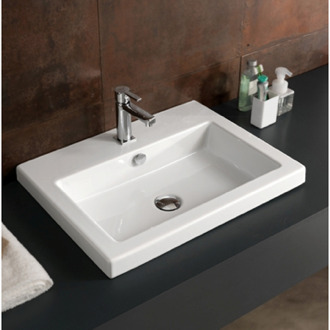 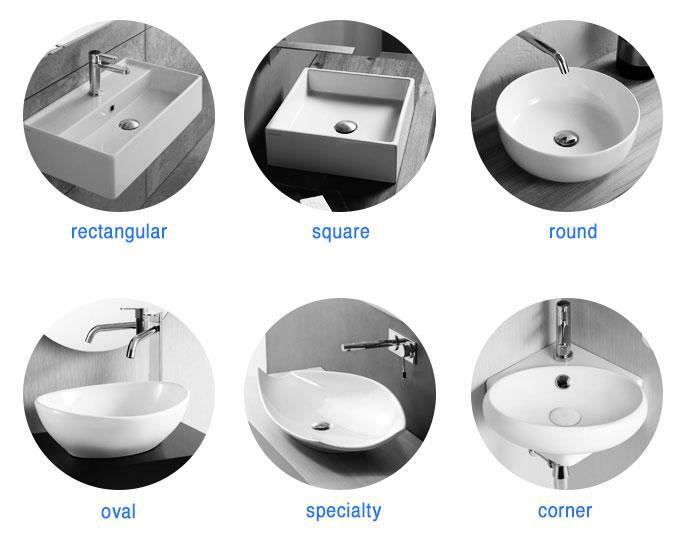 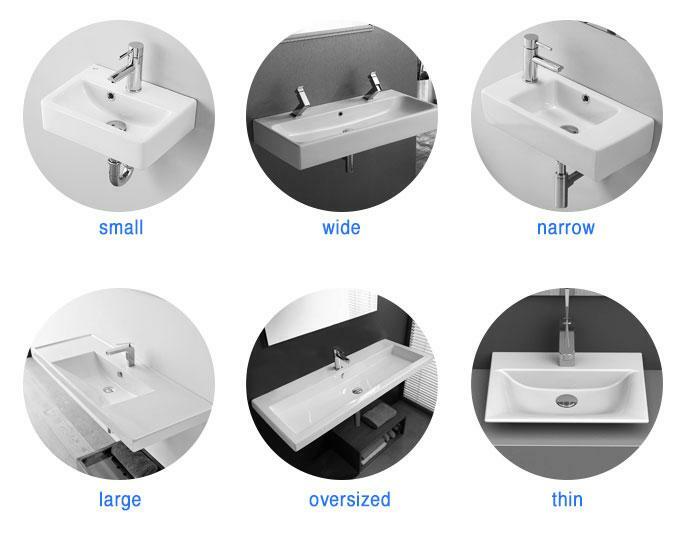 No matter how big your bathroom, floating sinks are available in small, single faucet, and dual faucet styles.